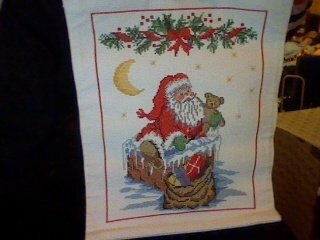 Hobbies of Norway: Christmas projects! These are some of the Christmas decorations I have made. 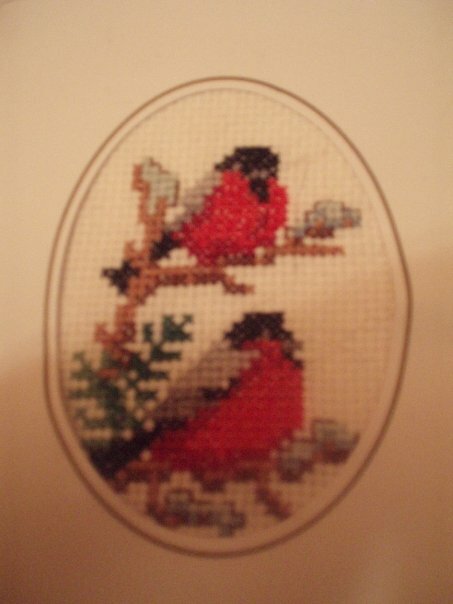 I love Christmas, so it's perfect with cross stitch pictures, or a Christmas tree mat is actually made ​​yourself. I find much joy in these homemade products, you know you have spent a long time and you know it will be appreciated. 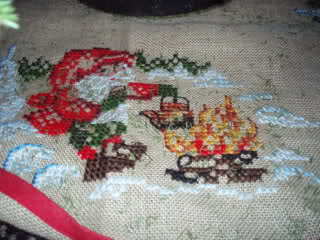 A little piece of my christmas tree mat. It was a horrible piece of work. It was an endorsed pattern, but still there were several differences between the endorsement, the pattern and the picture that followed. 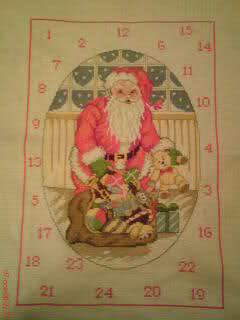 This is the advent calendar I made for my son. Took me about 1 month to do it. I had problems with my arms at the same time. But it was much MUCH work with it. But still it was for my son! 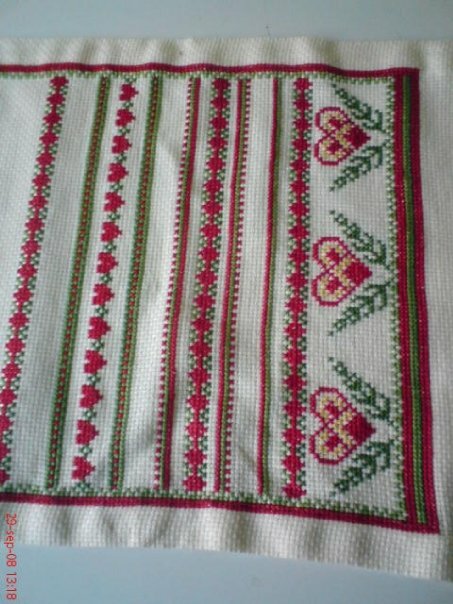 This is my first christmas cloth for living room table. Got good memories from being proud to have made it all on my own when I was 16 years old. This was one of the first really big projects. A little christmas card, one of MANY!